If you’re considering replacing your old kitchen countertops, Fahy Kitchens wants to assist you. We’ve been helping people in the Utica, NY area create the kitchen of their dreams for more than 40 years, and we have the expertise you need to help you find the perfect kitchen countertops. Your kitchen is the hub of your home. It’s where your family comes together to prepare everyday meals, create holiday memories and relate the news of the day. You need countertops that not only complement your kitchen; you need ones that best suit your lifestyle. Whether you’re only home long enough to prepare a quick meal on the go, or you’re known among your friends as something of a home chef, Fahy Kitchens has the perfect kitchen countertop solution. 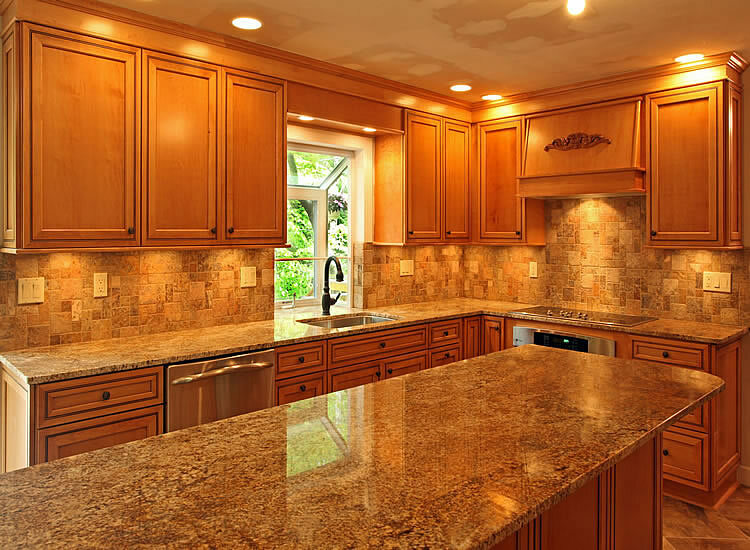 At Fahy Kitchens, we take pride in providing people in the Utica, NY area with high quality kitchen countertops. Additionally, Fahy Kitchens is affiliated with the area’s best countertop fabricators, ensuring that your countertop will have a perfect fit and a look that will last. Whether you’re ready to replace that worn, chipped, cracked countertop or you’re seeking a whole new look, call us today at 315.735.8181 or contact us and we will be happy to set up a consultation with you.